Looking for a way to get involved at your local library? 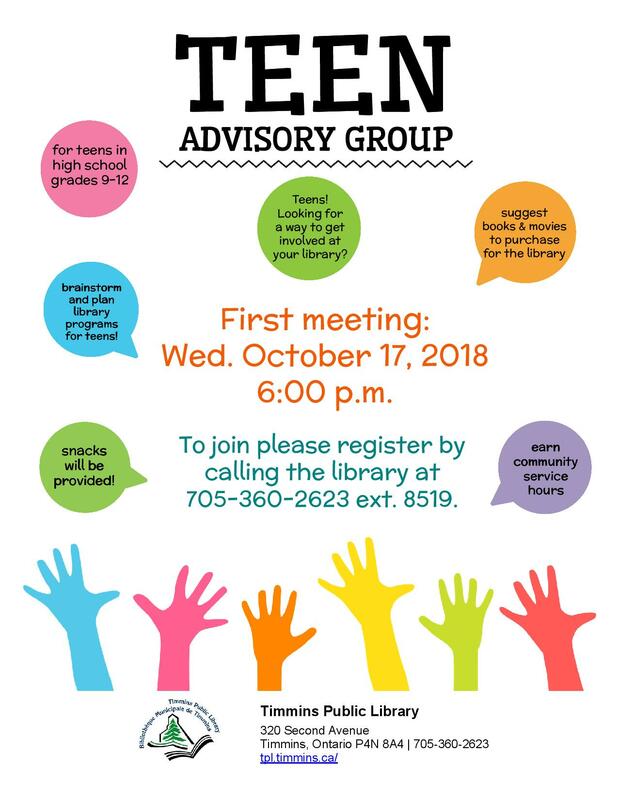 The Timmins Public Library is looking for high school students to join our Teen Advisory Group (TAG). Students will earn community services hours, provide ideas for teen programming and make suggestions! The first meeting is Wednesday, October 17, 2018 at 6:00 p.m. Registration is required. Please call 705-360-2623 ext. 8519.